B.A.LL.B (Hons), Faculty of Law, Lucknow University, Lucknow (2011); LL.M (Business Laws), National Law School of India University, Bangalore (2013). After completion of LL.M (Business Laws) from NLSIU she joined RML National Law University, Lucknow as a Guest Faculty. Thereafter, she worked as Assistant Professor of Law at College of Legal Studies, University of Petroleum and Energy Studies, Dehradun. 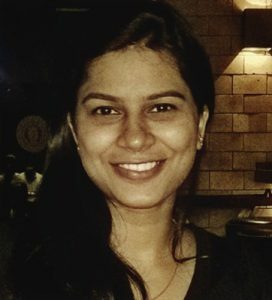 She joined NLSIU as Assistant Professor of Law in 2014 and is currently associated with Prof. M.P.P.Pillai for the courses of Corporate Law and Mergers and Acquisitions for undergraduate and post-graduate students respectively. She is Faculty Coordinator for the NLS Business Law Review, a peer-reviewed journal of NLSIU. She has also been engaged in teaching French language at UPES, Dehradun. Her areas of interest include Corporate Law, Mergers and Acquisitions, Securities Law and Labour Law.